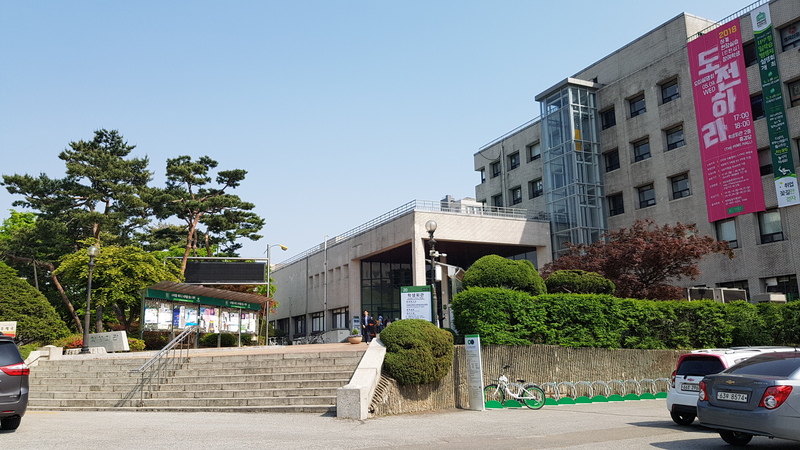 Parts of this university appear as ‘Hankook University'(or ‘Korea University’ in My ID is Gangnam Beauty / ID: Gangnam Beauty (내 아이디는 강남미인) (JTBC, 2018). 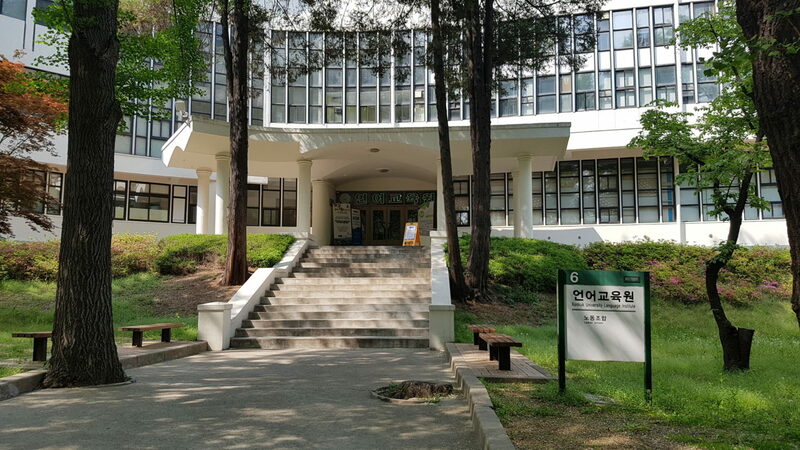 This is where Kang Mi-Rae (Lim Soo-Hyang), Do Kyung-Seok (Cha Eun-Woo of Astro) and Hyun Soo-A (Jo Woo-Ri) are enrolled as chemistry majors and Yeon Woo-Young (Kwak Dong-Yeon) is a teaching assistant. 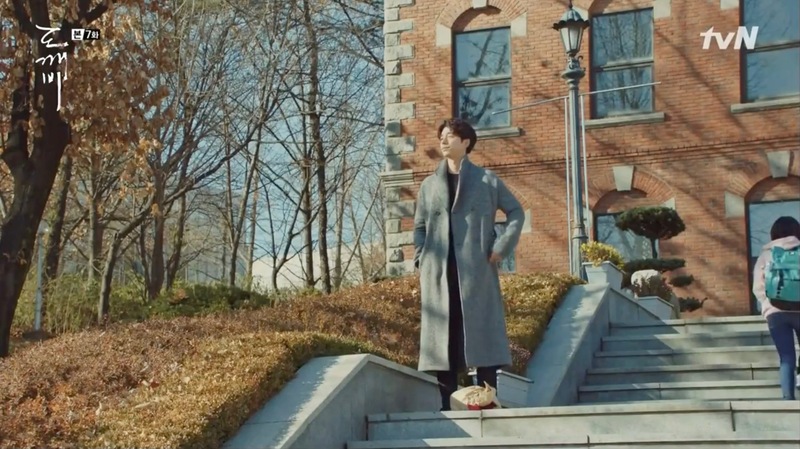 In episode 2, Mi-rae and Kyung-seok talk in front of the Law School Building [건국대학교 법학관]. 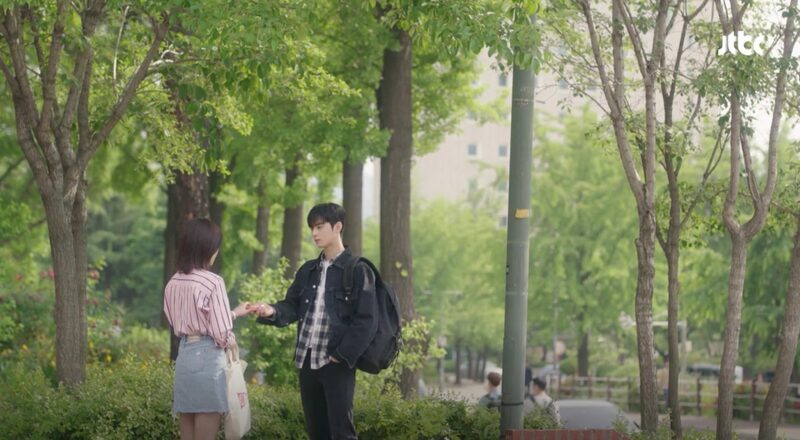 Kim Myeong-ha (Kim Min-gue) studies here in Rich Family’s Son (부잣집 아들) (MBC, 2018), and is tasked to ‘buddy’ up with exchange student Mong-mong (Elkie from CLC), who had accidentally spilt wine on him on a plane ride back to Korea. 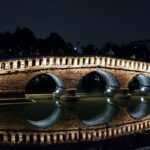 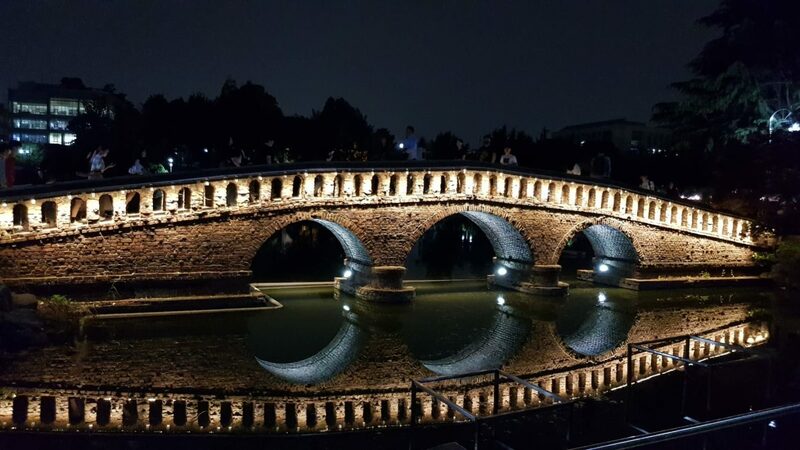 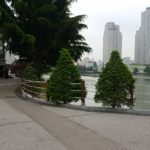 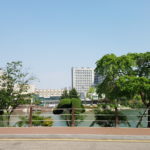 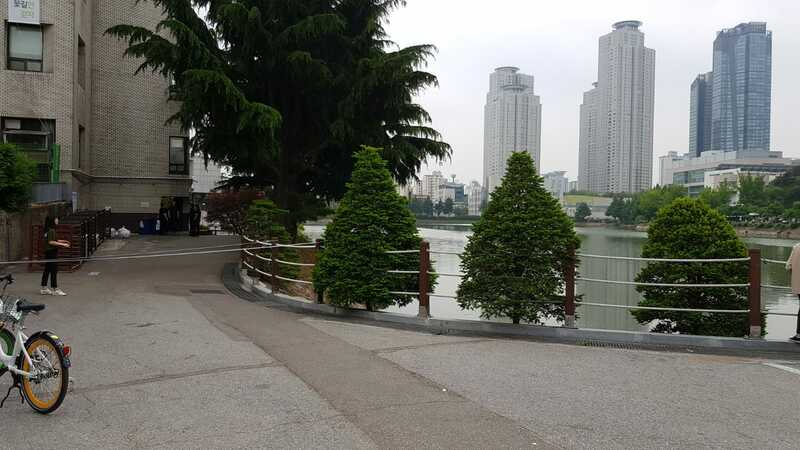 After being re-introduced in episode 9, they walk by the university lake (건대호수), where she asks him to take photos of her. 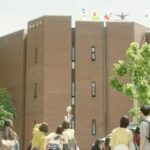 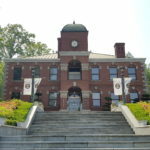 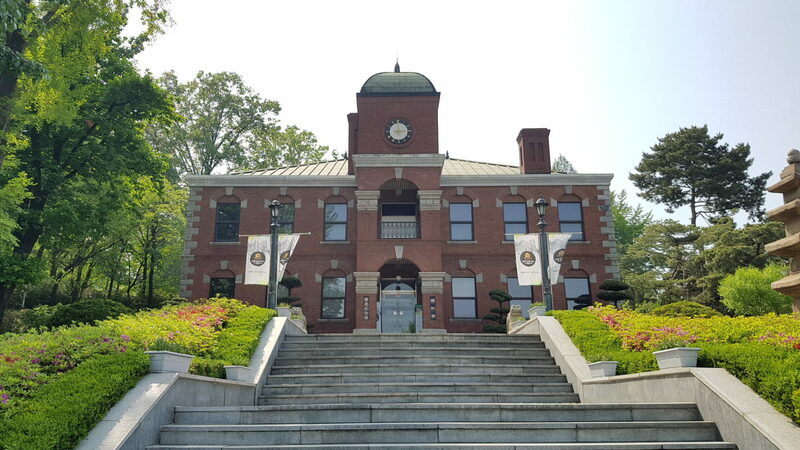 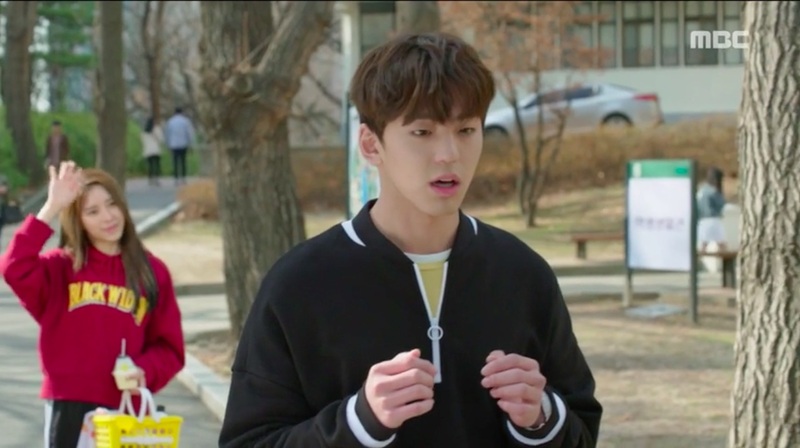 In episode 11, they meet outside the Student Affairs Office – which is, in reality, the university’s Language Institute (건국대학교 언어교육원) – where she tells him that her hot water has run out, and asks him to bring her to a public bath. 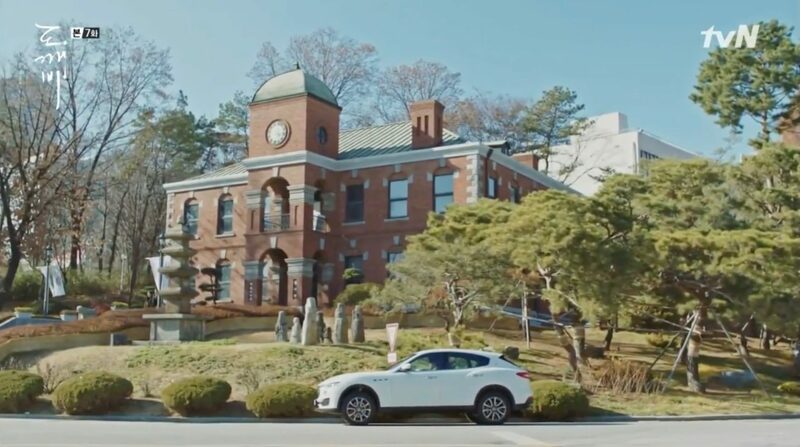 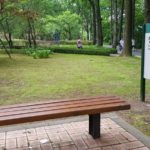 This university appears as ‘Eunha University’ in Meloholic/Melo Holic (멜로홀릭) (OCN, 2017). 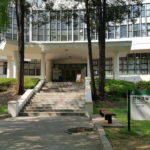 Yoo Eun-ho (U-Know Yunho from TVXQ) studies psychology here and subsequently works as a teaching assistant. 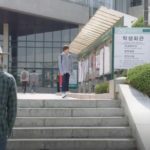 As for Han Ye-ri (Kyung Soo-jin), she is paid to study here but is also engaged as an assistant by psychology professor Kim Joo-seung (Choi Dae-chul). 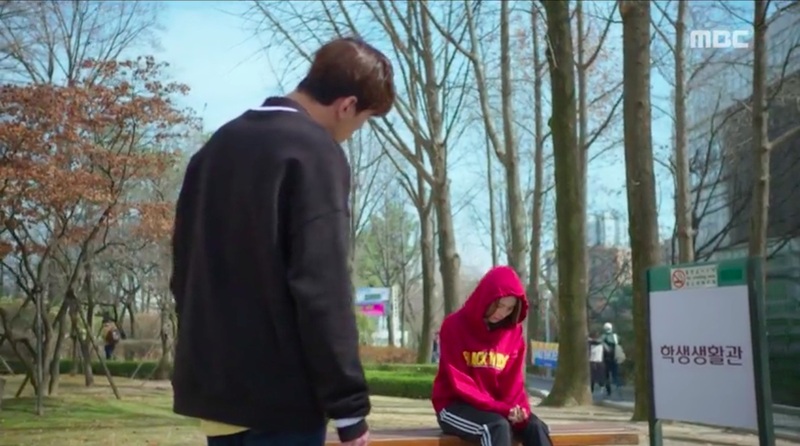 This is also where Eun-ho’s first love declaration failed – big time. 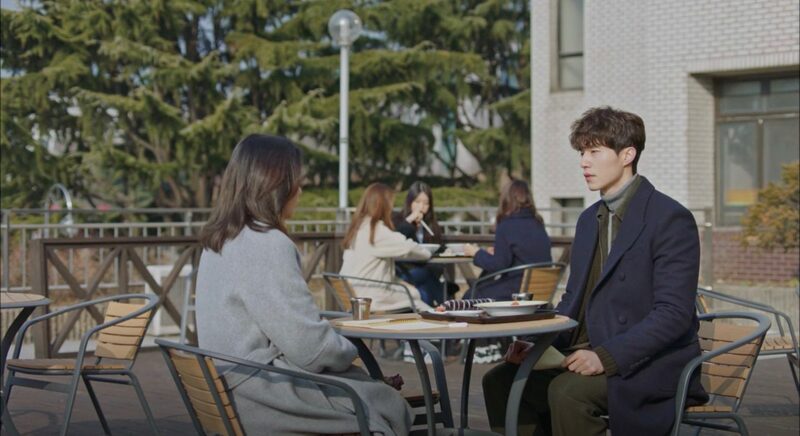 This changed him into being an expert in love (with his his new mind-reading ability also being of some help here). 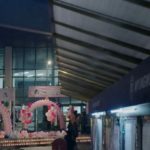 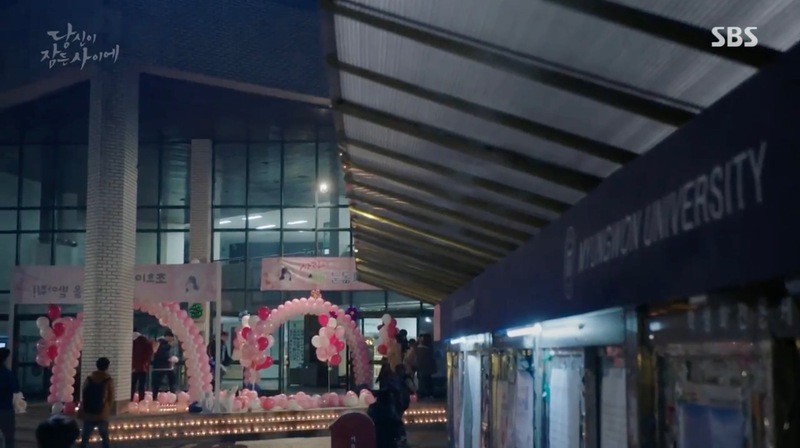 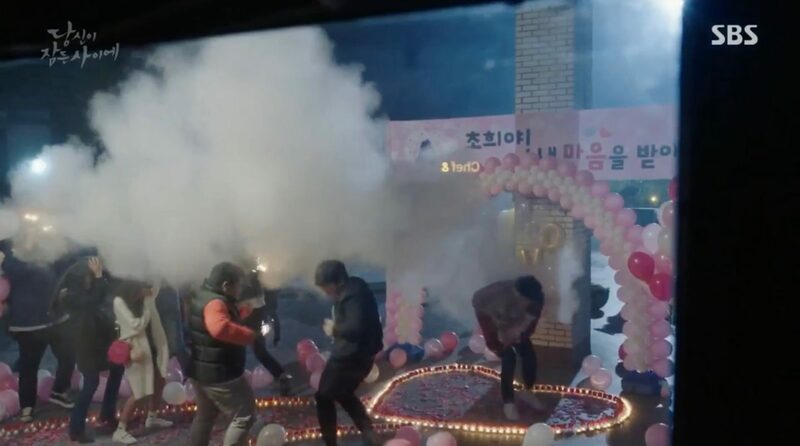 Nam Hong-joo (Bae Suzy) dreams of a proposal gone wrong (because of a fire that breaks out) at the Student Union building [건국대학교 서울캠퍼스 학생회관] of this university and goes here to prevent it in episode 10 of While You Were Sleeping (당신이 잠든 사이에) (SBS, 2017). 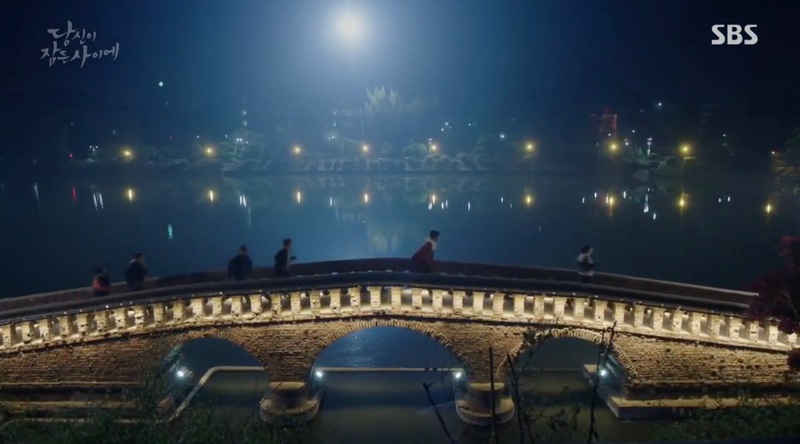 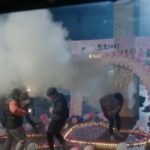 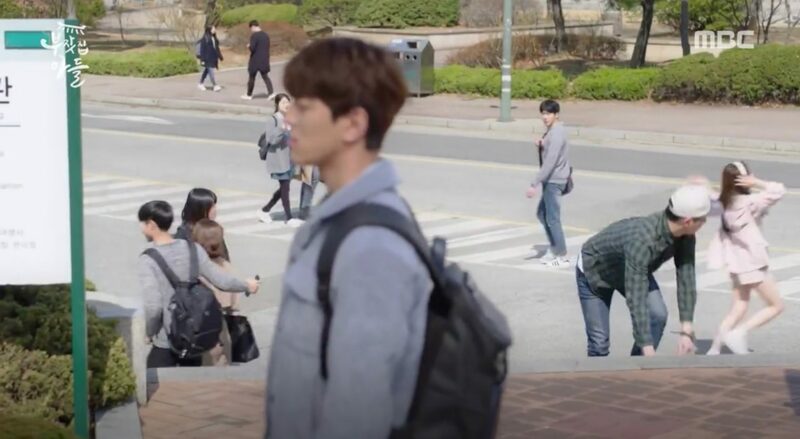 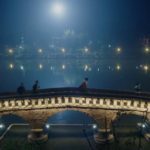 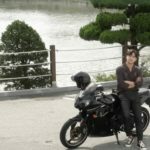 Jung Jae-chan (Lee Jong-suk), on his part, comes here to save her from the angry crowd and they run over a bridge that is located just behind the said building. 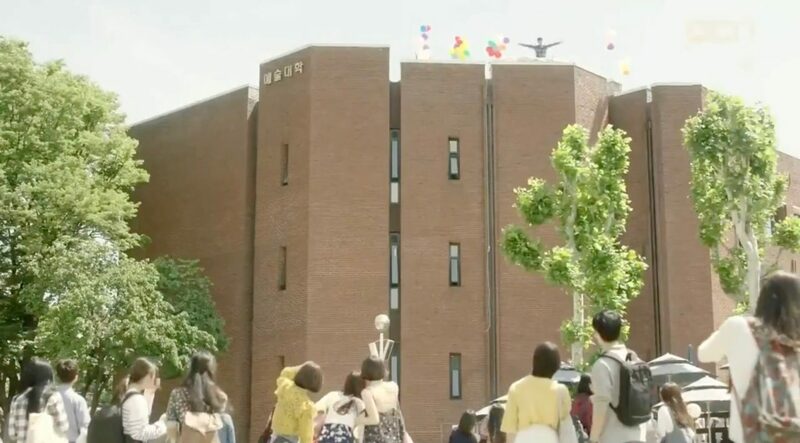 Dan-ah (Chae Soo-bin) goes to university here in the epilogue of episode 16 in Strongest Deliveryman (최강 배달꾼) (KBS2, 2017). 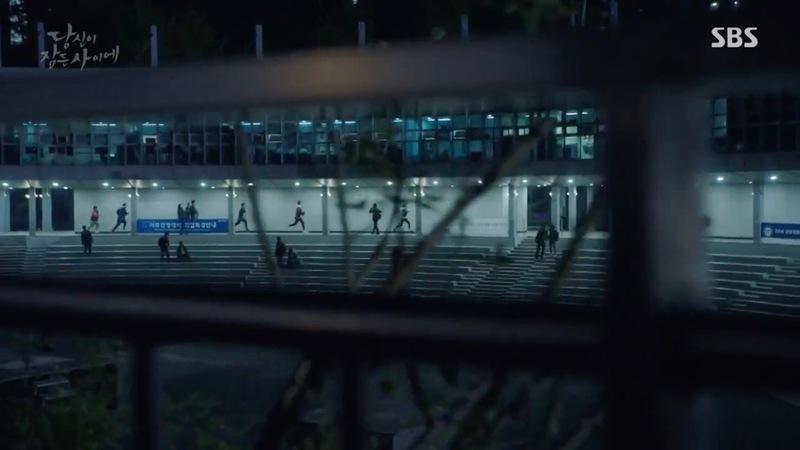 She comes out of the Student Union building and Gang-soo (Go Kyung-pyo) waits for there. 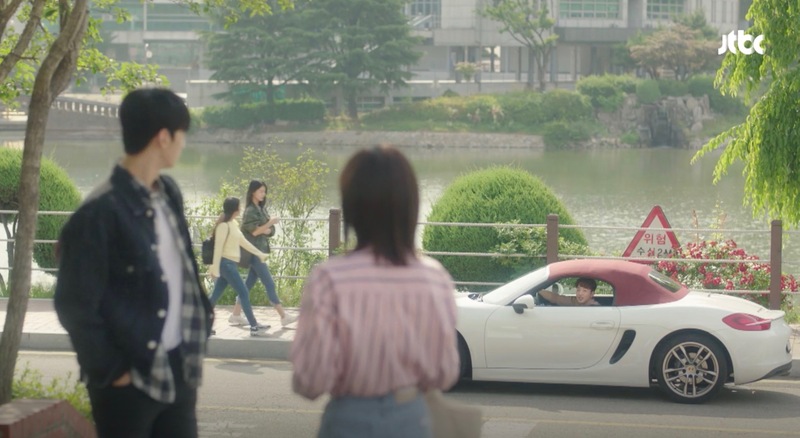 On Bride of the Water God 2017/The Bride of Habaek (하백의 신부 2017) (tvN, 2017), it was featured in a flashback scene when Yoon So-a (Shin Se-kyung) saw her friend Jo Yeom-mi (Choi Woo-ri) and asked about Ahn Bin’s (Gong Myung) whereabouts in episode 5 (43:06 – 43:32). 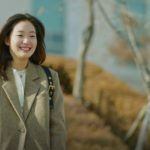 Yoon So-a was discussing her intention of returning the diamond ring he had given to her as a gift. 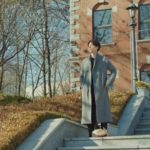 Ji Eun-tak (Kim Go-eun) takes her Communication Major Essay Entrance Exam here in episode 7 of Goblin/Guardian: The Lonely and Great God (쓸쓸하고 찬란하神 – 도깨비) (tvN, 2016-17). 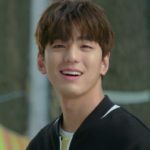 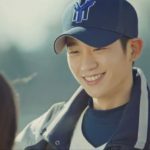 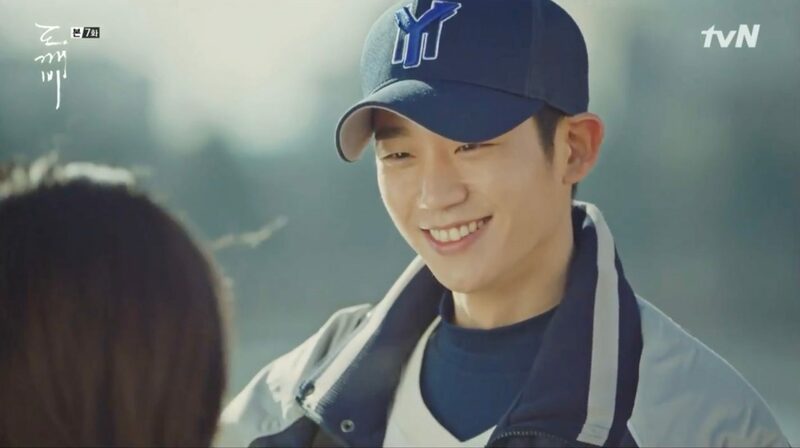 When finished, she accidentally runs into her crush Tae-hee (Jung Hae-in), who is part of the university’s baseball team. 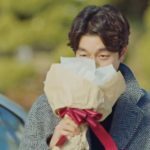 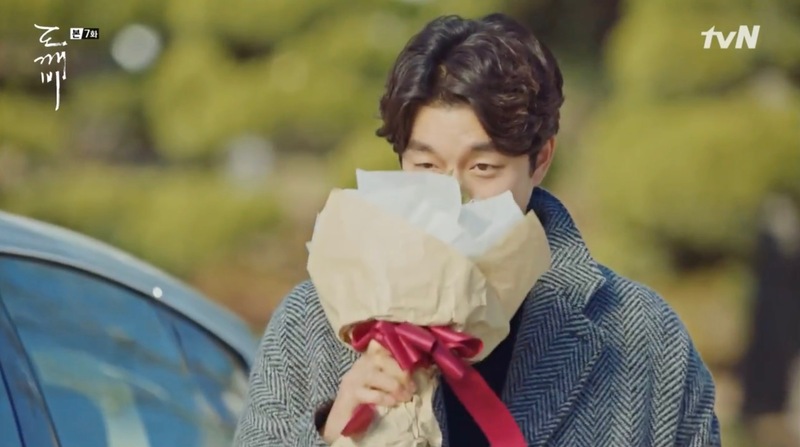 Kim Shin (Gong Yoo) – who came here to pick up Eun-tak and is waiting in front of the Konkook/Konkuk University Museum [건국대학교 박물관] – becomes an unwilling witness of their reunion. 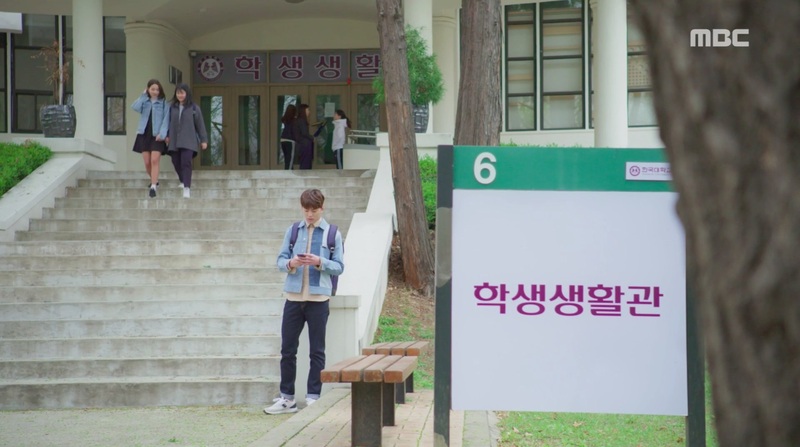 Later, in episode 12, we see her walking on the campus as a student. 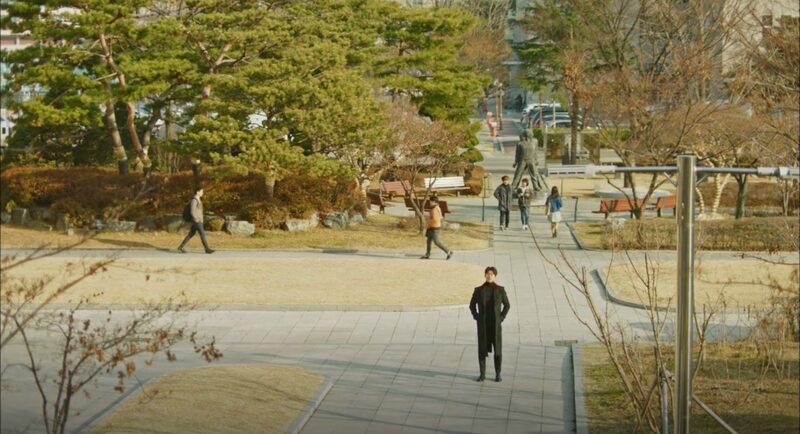 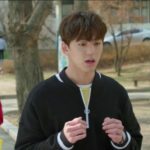 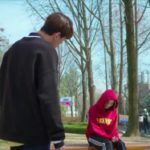 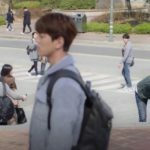 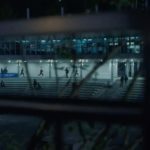 In episode 13, the Grim Reaper (Lee Dong-Wook) comes here to meet up with Eun-tak (probably at a rooftop café on the Student Union Building) and she draws for him the sword that Shim is carrying in his chest. 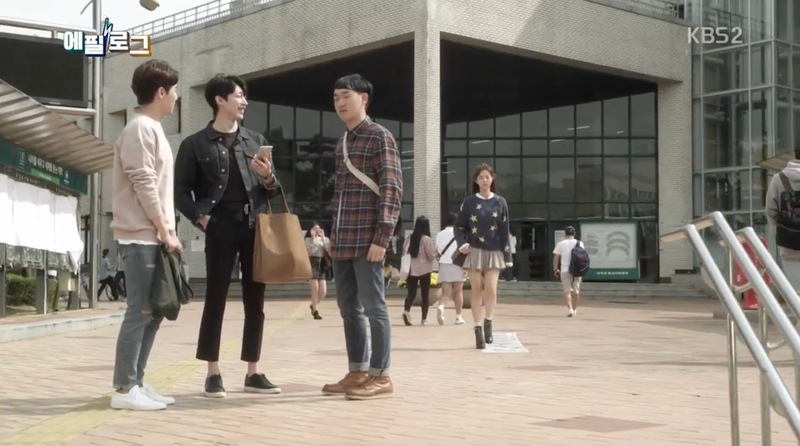 A little later, and after their trip, Shim comes here for a surprise visit. 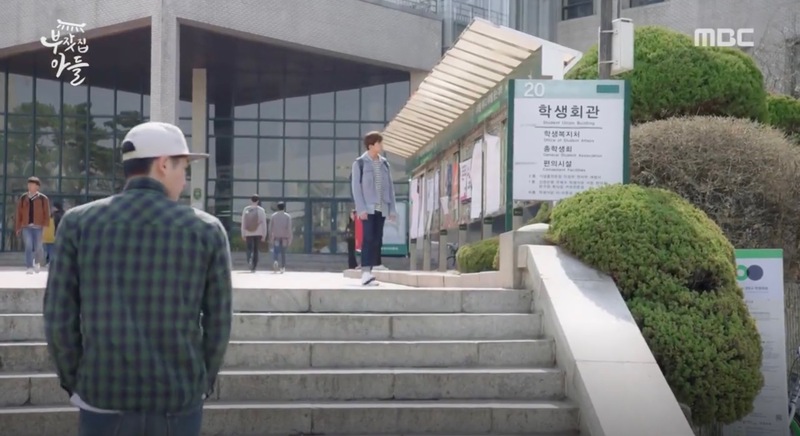 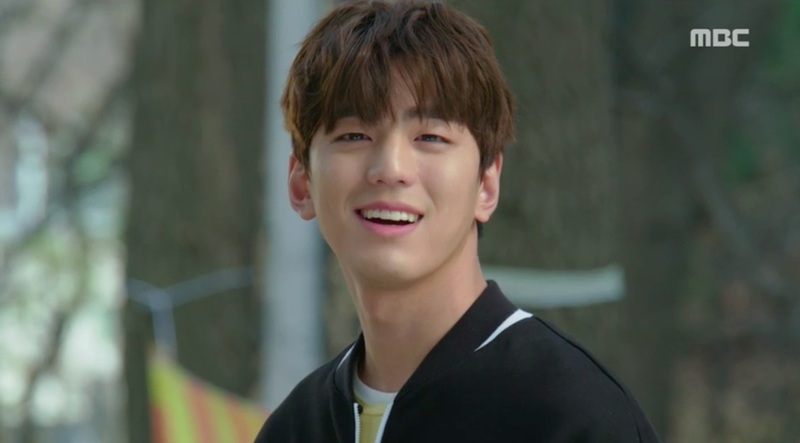 In Twenty Again/Second Time Twenty Years Old (두번째 스무살) (tvN, 2015), Konkuk University appears as Woocheon University. 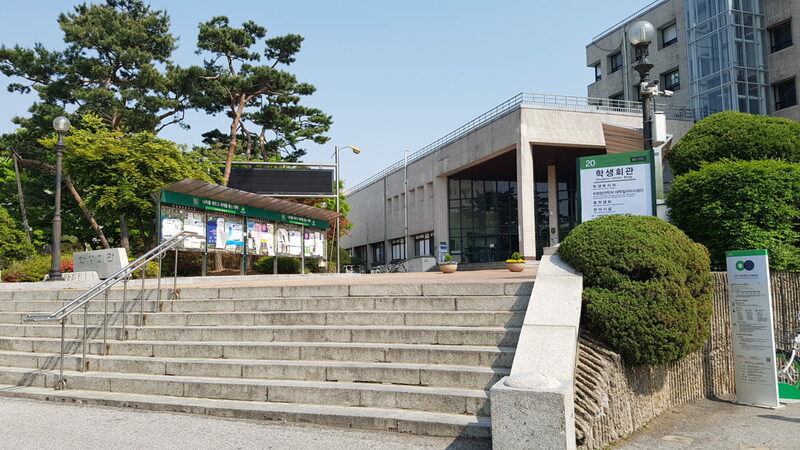 It is where Ha No-ra (Choi Ji-woo) studies and Cha Hyun-suk (Lee Sang-yoon) teaches at. Also in the web drama Alrang Malrang (알랑말랑) (Studio Dia, 2019), as the university the main characters attend. 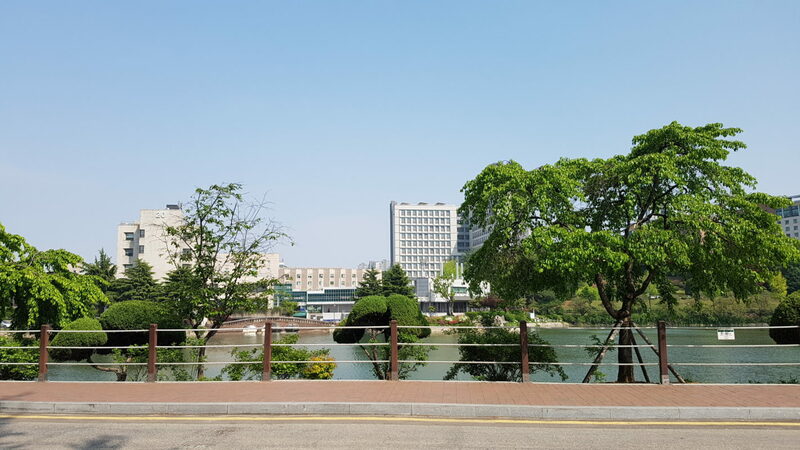 Konkuk University [건국대학교] is a private university in South Korea. 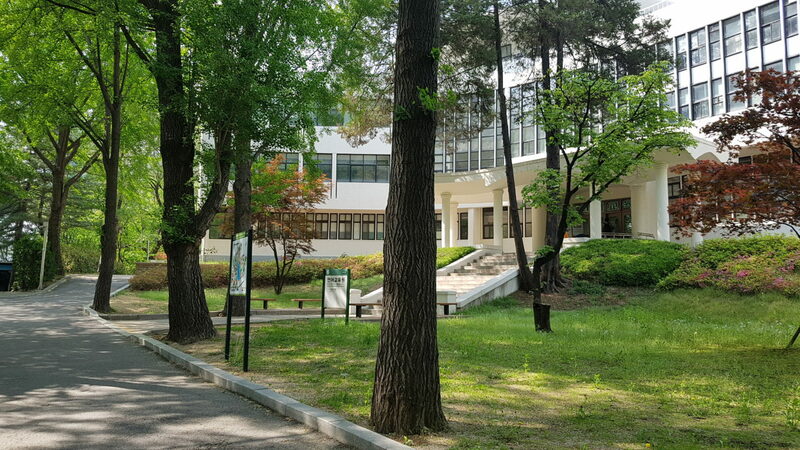 It was established in 1946 as ‘Chosun School of Politics [조선정치학관]’ with the Sanghuh Memorial Hall — a building often featured in K-Dramaland. 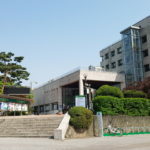 It changed its direction to a general university in 1959 including a name-change to its contemporary name. 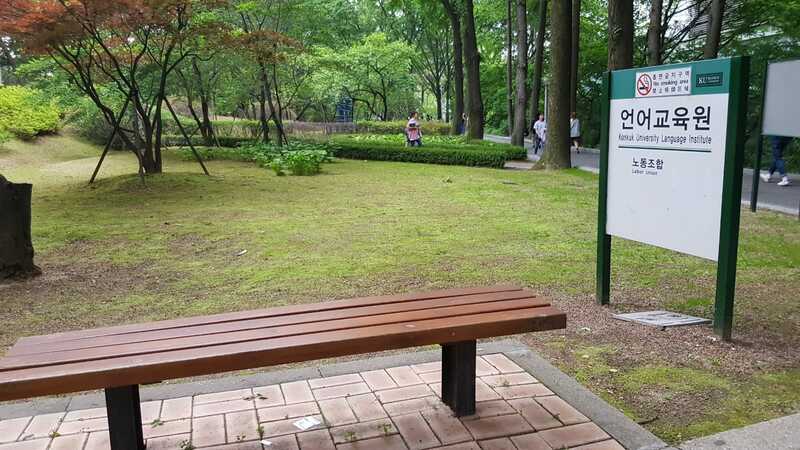 It’s central campus is located in Seoul’s neighborhood Hwayang-dong [화양동] in the Gwangjin District [Gwangjin-gu/광진구]. 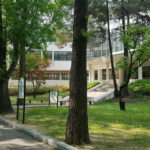 In 2006, the ‘Glocal campus’ in Chungju was added as Konkuk University’s second campus. 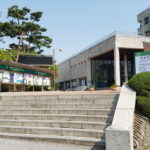 The Seoul campus is served by self-named subway station.